Greetings in the blessed name of our Lord Jesus Christ! Thank you for your prayers, and for taking the time to read this ministry update. I write to you from West Baden Springs, Southern Indiana. Two weeks ago, on Monday, February 25th, we returned in the US to finish deputation after completing our first full four-year term on our mission field. 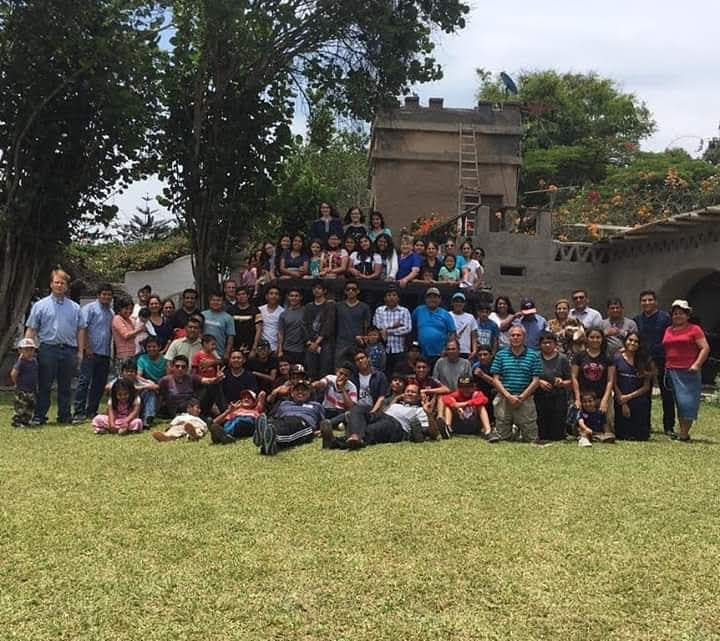 As I mentioned in our last letter, our final ministry project in Peru was the annual Deaf camp, which we held this year from Monday, January 28 through Friday, February 1. The groundwork for the camp was much prayer and many months in the making. I thank God for everyone who participated and gave to make the camp a success, to God’s great glory. We had 108 campers present, five people made professions of faith in the Lord, and seven young people surrendered their lives to the Lord’s service. 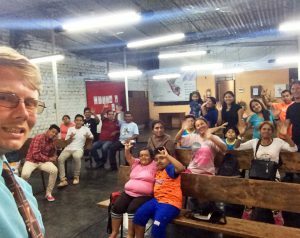 Several of our missionaries working with the deaf and hearing around Peru were able to come and participate in various teaching roles. Pastor Frank Chavez has assumed responsibility for the work in San Juan. Deaf camp was impacting to all who attended. Many Thanks to you who helped! Our main speaker for the camp was Pastor Jonathan Ramirez, our missionary in Ecuador. Jonathan did a wonderful job, and it was a joy to have him and his family with us. 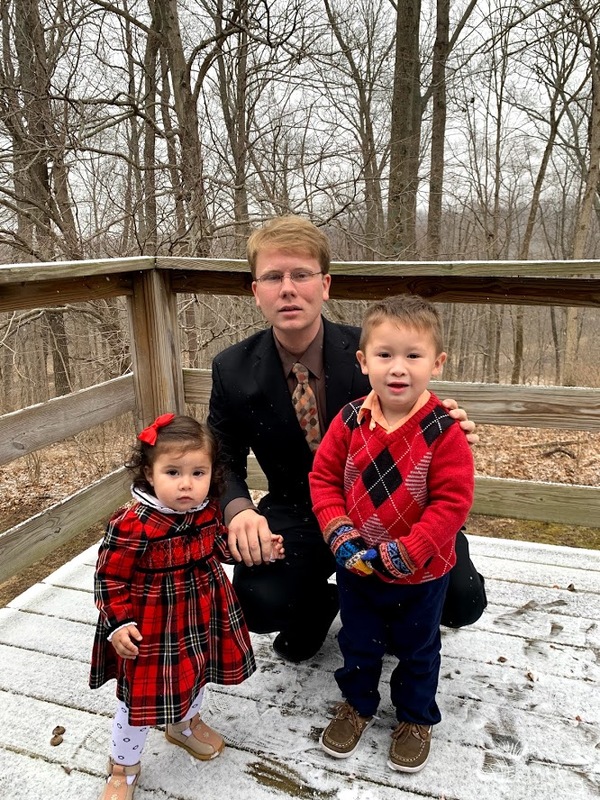 Jonathan is my wife’s cousin, and he served at Efata Baptist Church as the pastor for the deaf for years before leaving to plant a church in Ecuador. Both of Jonathan’s parents are deaf. Several months ago, Jonathan was diagnosed with a serious medical issue, and just after camp, he underwent an invasive operation there in Lima. He is now going through a painful time of rest and recovery, but praise God he is doing well. We were glad to have him and his family with us during the weeks just before we returned to the States. 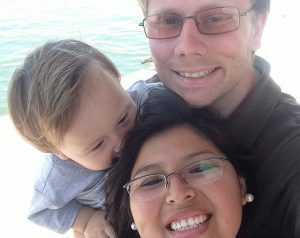 Please pray for Jonathan’s ministry in Ecuador and for his continued recovery. He will be returning to Lima for another operation in about six months to complete (Lord willing) his treatment. Please pray for my wife Zulema as well. She has been struggling with a non-contagious skin condition since last December that eventually spread across almost her entire body, discoloring large swaths of her skin and provoking considerable discomfort. We went to four different doctors and dermatologists in Peru throughout January and February, and they gave us three different diagnoses. It appears that the correct diagnosis is Psoriasis Rosea, Thankfully, the virus seems to be receding. We appreciate your prayers! As we prepared for camp and dealt with Zulema’s health, we have been getting ready for our deputation. Over the next two years, we will be visiting churches across America sharing our vision for the deaf and for Peru. Deputation is never easy, but I can certainly testify that, “I being in the way, the Lord led me.” Our God has prepared our way before us and has provided for us at every step of the way, and we thank him and praise Him for it. 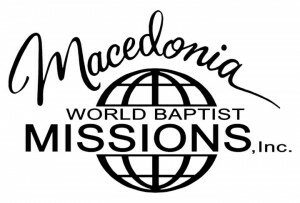 We are currently at a home for missionaries provided by the team at Shepherd’s Bethel in West Baden Springs, Indiana. We have been blessed beyond measure, as despite our (very) limited resources, God continues to use His people to meet our every need. As we get started traveling in the States, our financial needs are the basics: we are trusting God to provide for our car payment, utilities, and health sharing costs this month, as well as our daily bread and gas money to get to the next meeting. Our prayer is that throughout this time God would continue to open doors and move hearts, giving us grace in His sight and the sight of the brethren as we seek support not only for our personal ministry, but also as a channel of blessing for the Efata church, school and home. 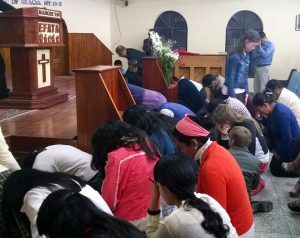 As the Lord allows us to return to Peru and minister, we will be investing in young men and women in the Bible Institute and Bible college and preparing the next generation of Deaf and hearing leaders to reach the Deaf in Peru and beyond, planting churches and ministries across Peru. Please pray for us tomorrow. After over four years on the field, we are headed back to the states for a time of furlough and deputation. The Lord bless you in each service and opportunity tomorrow as you serve him. 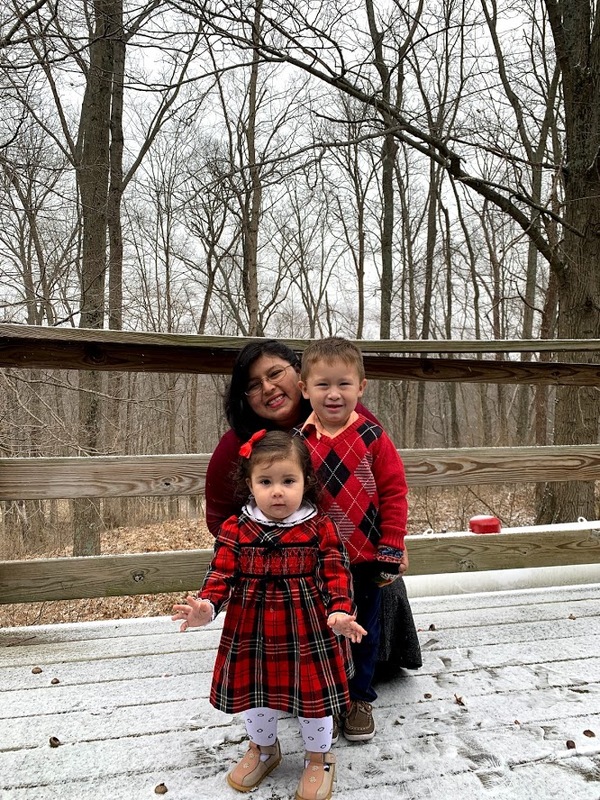 December 2018 Ministry Update – Merry Christmas, and Happy New Year! In this letter, read about ministry activities, souls saved, ongoing projects, and current opportunities. Check out the latest photos, and an adorable video of Esther learning to walk! You can download our December 2018 ministry update as a one-page PDF to print, or view it online as an interactive Sway presentation. You can download our September 2018 ministry update as a one-page PDF to print, or view it online as an interactive Sway presentation. Thanks for keeping up with our ministry! You can download our June 2018 ministry update as a one-page PDF to print, or view it online as an interactive Sway presentation. You can download our March 2018 ministry update as a one-page PDF to print, or view it online as an interactive Sway presentation. You can download my October 2017 ministry update as a one-page PDF to print, or view it online as an interactive Sway presentation. It’s a new year – time to reflect on what has gone before and look to the future for what God has in store. Zulema and I are so thankful for all the Lord’s blessings throughout 2016 and for what he is doing today. Joseph James was born December 18, 2015, and we’ve watched him blossom throughout the past year. 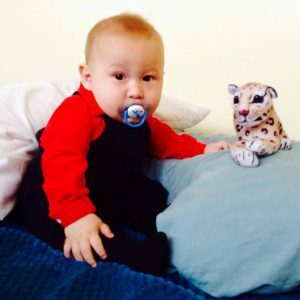 He began walking shortly before his first birthday. He is saying more and more words, using a mixed vocabulary of English, Spanish, and Sign Language! There’s nobody cuter. Even at his young age, he’s showing a fiercely independent spirit. We’ve got our work cut out for us! Lord willing, within two months I will receive my Peruvian citizenship and passport! As a dual citizen, I will be able to come and go as needed inside and outside of Peru. Please pray that the process will go smoothly. Once my papers are done, I will also be able to vote and contribute to Peruvian politics. Next project: Zulema’s US citizenship! 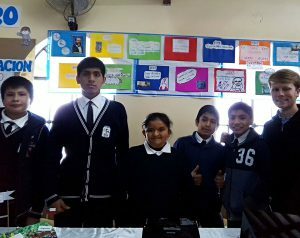 Last year I taught six deaf students in the fifth grade. It was a unique group, several had learning disabilities or recurring health issues, and two of the others were new to Efata, with a great deal of catching up to do. The class did well, but they will need some more work before moving on to sixth grade. I will have them again this year. Two of my students made professions of faith and were baptized last year. This school year will begin in March. Lord willing, I will have my students from last year, along with four more coming up from fourth grade. I’m excited to try some new methods for teaching language; I want my students to be successful. Pray for salvations and for spiritual growth. Also, please pray that the Lord will send us more teachers and provide for their salaries. 2016 was a good year of for our church, with several challenging missions and Bible conferences. We held separate deaf and hearing Bible conferences, and the deaf Bible conference with Lee Johnson and Ray Bradley had a great impact on our people. Our attendance has held steady and many souls have been saved and baptized. We’re looking forward to what God will do this year! Our first major activities this year are the deaf camp and youth camp. Deaf camp begins January 31! We haven’t held a deaf camp for years, and we’re praying that this one will encourage, strengthen and challenge our people to serve him. The theme for camp this year is “Clean Hands and Pure Hearts.” We want our people to grasp the importance of personal sanctification. 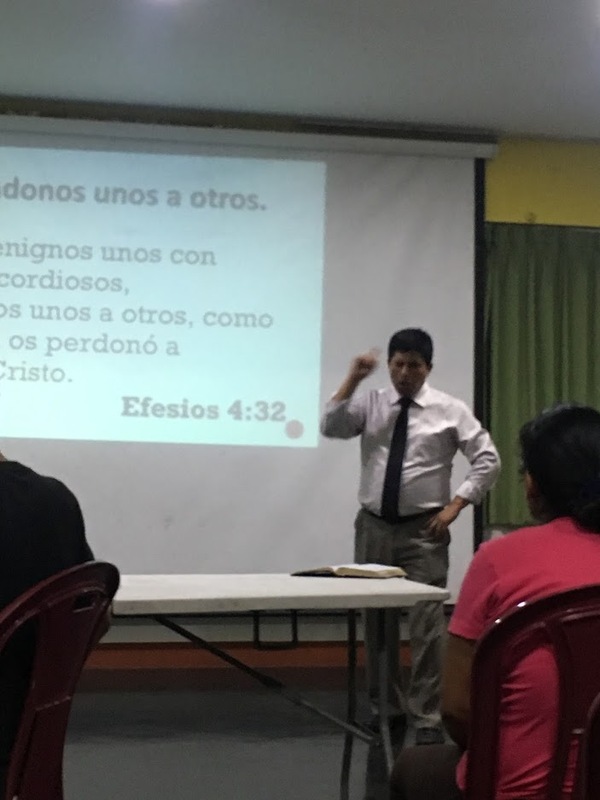 Our ministry in El Agustino has been a great encouragement to me this year, with six professions of faith and three decisions to get right with the Lord. The attendance every Thursday runs between 25-30 deaf people, and a few of them have begun coming to Sunday services at Efata as well. It’s a joy to see these people grow spiritually and learn God’s Word, many for the first time. 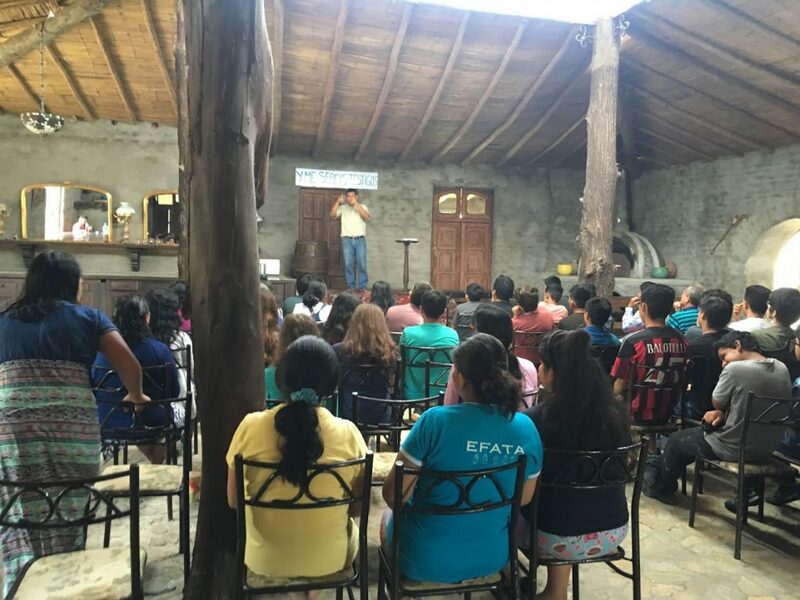 This year we hope to continue to reach out to the deaf in the El Agustino and surrounding area, and also disciple and grow those who have been saved. Several have been baptized, but others are not ready to take that step. Pray that I would have wisdom as I teach and counsel, and that the people would continue to respond to God’s Word. It is God’s Word that will make a difference in their lives. Thank you for your prayers and faithful support! God bless. Thank you for reading this letter, and for praying for our family. There is nothing more important to our success than prayers of the saints. I truly believe I would not still be on the mission field today if it were not for your prayers. I want to take a moment in this letter to reconnect with you and apologize for the lack of communication. 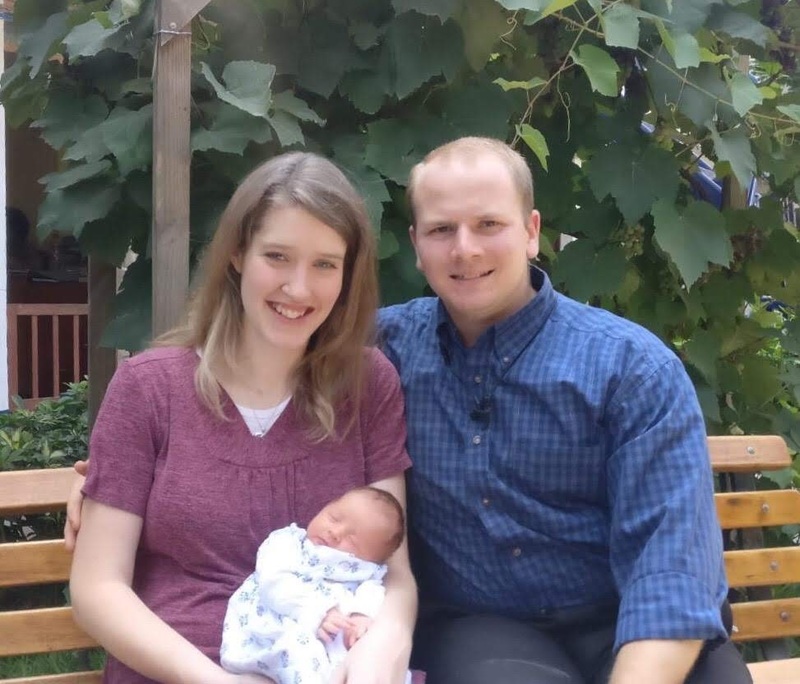 We haven’t sent out any prayer letters since before our son, Joseph James was born in December! And that’s just not right. There’s been a lot going on, between being a new parent, preparing and starting the new school year at Efata School for the Deaf, and working in ministry at Efata Baptist Church as well as leading a mission service for the deaf in El Agustino, another area of the city. I’ve been busy, and we’ve seen much fruit. Still, You deserve to hear from us more often, and from now on, you will. I’ll be printing and mailing prayer letters bi-monthly, and sending out email updates weekly. For now, here are a few praises and prayer requests I’d like to share. 1. 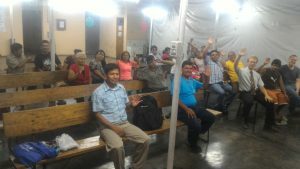 The ministry in El Agustino is growing! We’ve had a constant flow of visitors, and several professions of faith. This week we had 34 in attendance – the most we’ve ever had attend a regular meeting. 3. Our Christian School for the Deaf celebrated its 46th anniversary this past week. Kids and teachers had a blast celebrating with games and contests. Vernon Miller, the deaf man who founded this ministry in 1970, is rightly remembered as a hero of the faith by the Christian deaf in Peru. 4. We’re starting our yearly missions conference here at Efata next week. Pray that our Deaf and hearing will respond to God’s call to give and go. Write us back! It’s an encouragement and a blessing.